Notice how it says Alliance only (And yes, it is stated that blank spots are for guild emblem). You get a thunder liztard! Meh, just a badly modelled saber. Notice how it says Alliance only (And yes, it is stated that blank spots are for guild emblem). You get a scorpion! 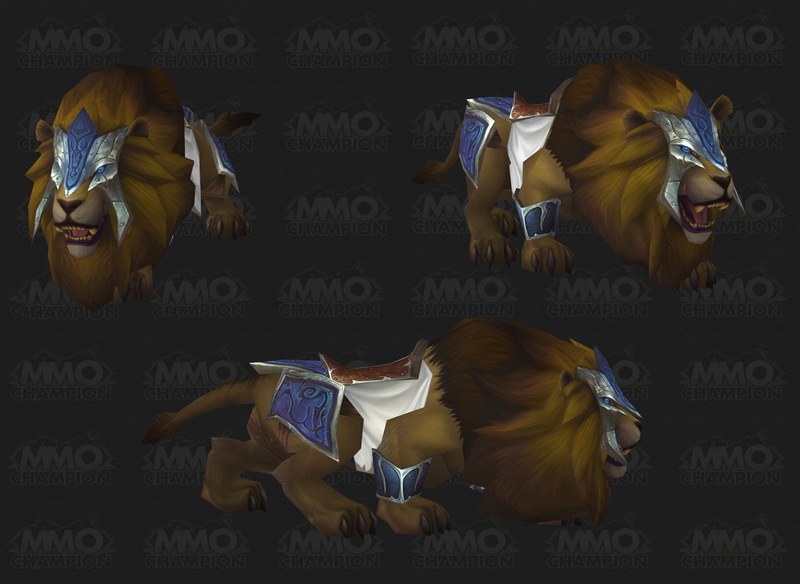 Well to be fair, WoW needed a lion - where the hell did that Lion in the alliance icon come from?! I wish you could get guild logos on the other mounts, though. But this is great.